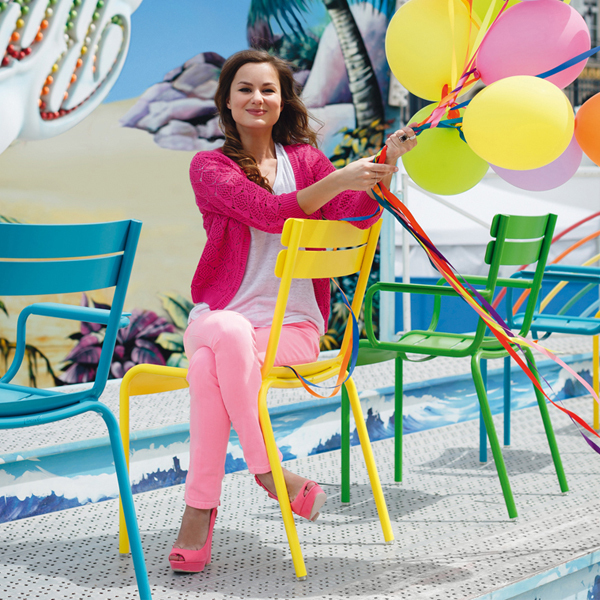 The Luxembourg armchair by Fermob is designed for outdoor use. 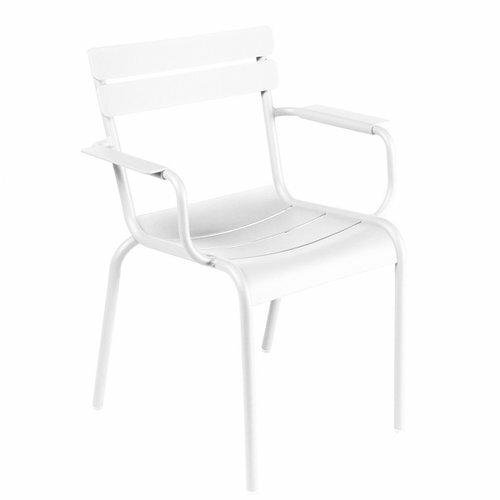 The armchair is made aluminium, a material that is both light and resistant. 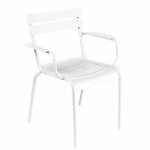 Due to the curved lines, the armchair is comfortable and stackable too. 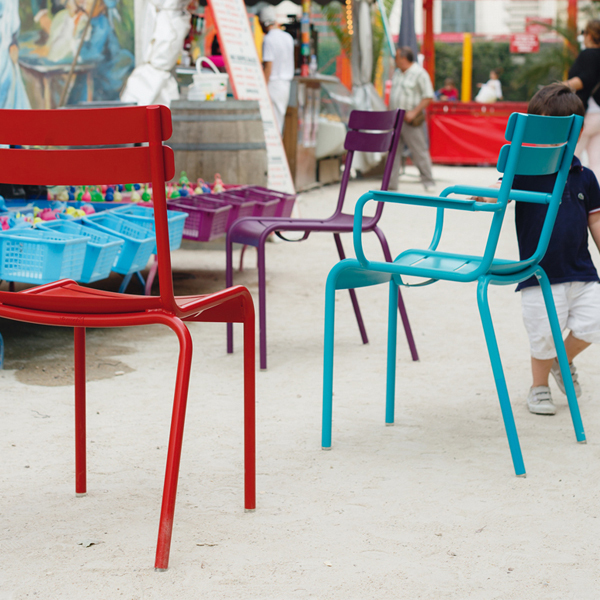 In 2004, Fermob asked Frédéric Sofia to modernise the legendary chairs and armchairs of the Jardin du Luxembourg in Paris, designed in 1923. 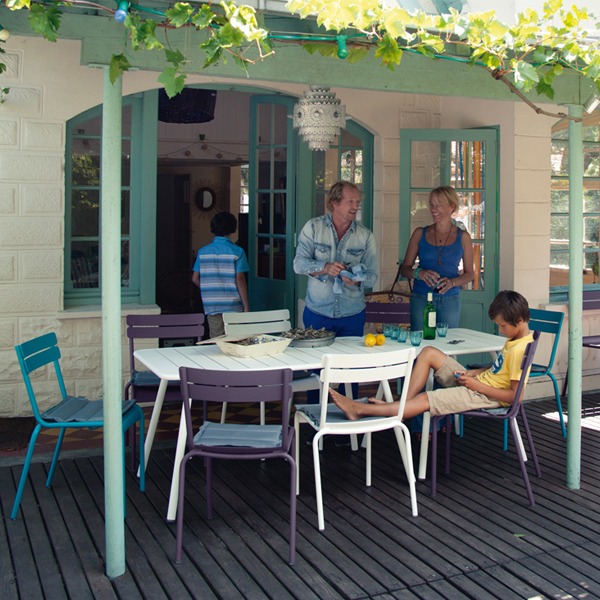 The original models are still produced by Fermob to the public parks and gardens in Paris.